Successfully Added Rich Diamond Texture PC TPU Hard Protect Case Back Cover Bumper for iPhone 7 Silver to your Shopping Cart. Ergonomic grip design, full access to user interface. 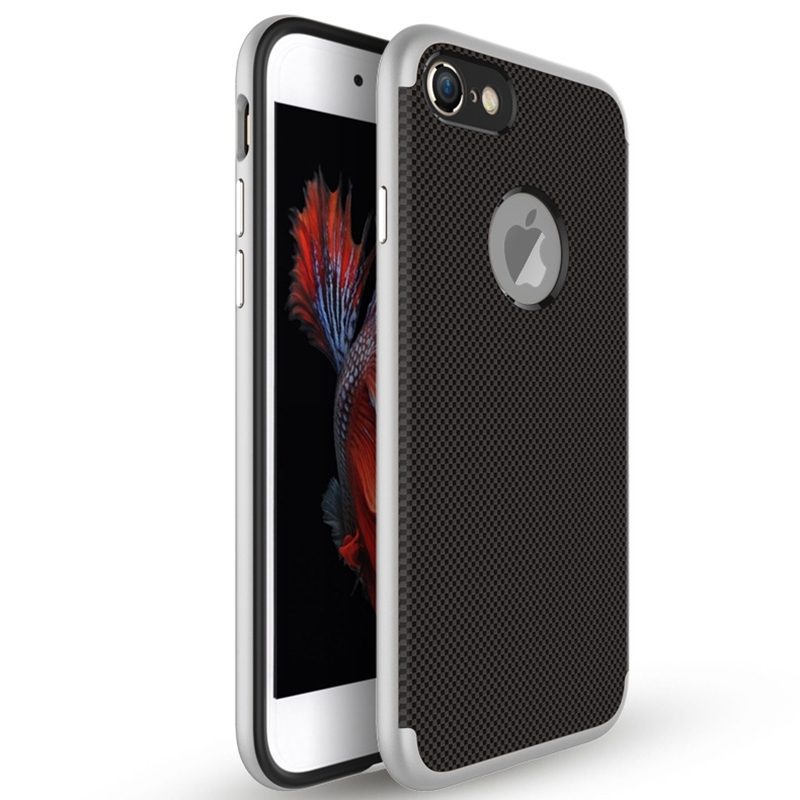 With matte carbon fiber optical care stickers, reducing fingerprints or grease buildup. Simple, elegant, functional, it features a refined design, and lasting protection. Specially designed for iPhone 7 / iPhone 7 Plus, has precise cutouts for speakers, charging ports, audio ports and buttons. Camera hole ring protective layer,perfect for cell phone camera to provide protection detail.